Pineapples aren’t just for luaus. From Hawaiian pizza to smoothies to your aunt's famous pork marinade, there's really no end of occasions for its tangy tropical taste. 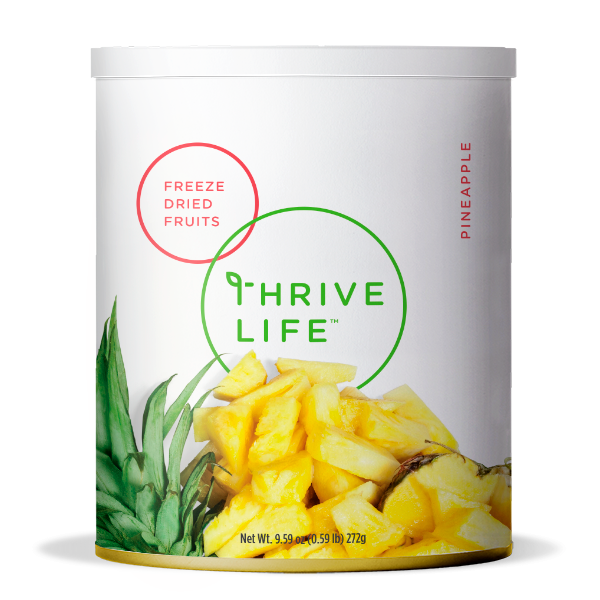 Thrive pineapples are also an excellent source of vitamin C and make a fabulous addition to any fruit salad or Asian-inspired stir fry. But unlike other pineapples you’ve met, there's no slicing involved--just sweetness. Add 1 cup water to 1 cup Pineapple and let sit 10-15 minutes until tender. These juicy pieces are no-brainers for pizza toppers and Hawaiian haystacks. Don’t forget pineapple upside down cake!